Meet at Cincy Flower Show! 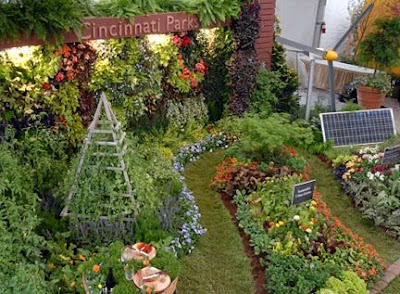 Anyone planning to attend the Cincinnati Flower Show? My friend Carole and I will be there this Sunday, April 20, arriving around 1:00. If you happen to be there that day and would like to say hello or take in the show together, let me know. I would love to attend any flower show, but don't live near one. The photo sure looks promising, have a wonderful time there. Hi Frances, I wish we had a closer show as well (Yahoo Maps says it will take 4 hrs 7 mins from Ann Arbor to Cincy), but a road trip is always fun. Every year I think I'll plan to go but it doesn't work out. It would only be about a two hour drive for me. So this year, I'll just look forward to your posts about the show!